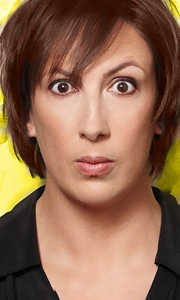 Own Miranda Series 1 to 3 Plus The Final Complete Collection DVD from Deff, DVD, Blu-Ray & 4K Video Specialists - Free UK Delivery..
Own Miranda Series 1 DVD from Deff, DVD, Blu-Ray & 4K Video Specialists - Free UK Delivery..
Own Miranda Series 1 to 2 DVD from Deff, DVD, Blu-Ray & 4K Video Specialists - Free UK Delivery..
All three series of the award-winning smash-hit sitcom included in this box set. This farcical, affectionate show sees the loveable Miranda muddling through her chaotic life, British comedy. This groundbreaking series is a clever, fresh, very funny look at the trials of modern life as a single person. Hilarious stories, recognisable situations, loveable characters and many surprises along the way. Join Miranda, her eccentic mother (Patr..
Own Miranda Series 2 DVD from Deff, DVD, Blu-Ray & 4K Video Specialists - Free UK Delivery..
Miranda is back for a third series and it's the best yet. It's impossible not to fall head of heels in hysterics with this TV ratings smash. Love is very much in the air for Miranda. Will she cope seeing her one true love Gary (Tom Ellis) with a girlfriend? Can she sustain the relationship with her new boyfriend Mike? Will she impress Mike's father with her first attempt at a dinner party, whilst her already embarrassing mother (Patrici..